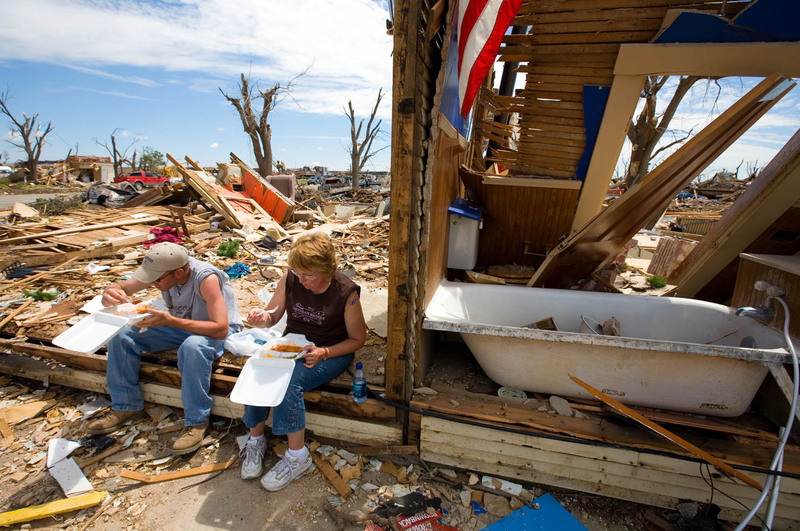 Two tornado victims eat Red Cross meals in what remains of their home following a tornado in Kansas. Volunteers in a Red Cross canteen give meals to the victims of a tornado in Kansas. This was part of a long-term project commissioned by the Red Cross showing the work they do during disasters.